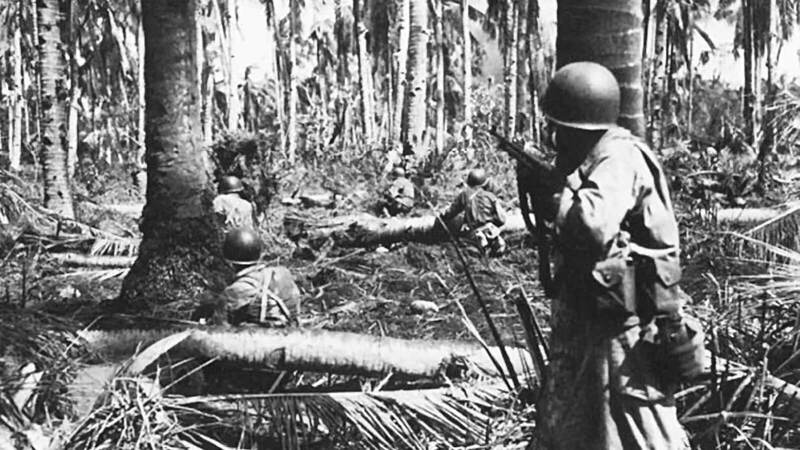 Infantrymen cautiously move toward an enemy machine gun position on an island in the Pacific during World War II. Recent news from Asia and the Pacific high-light several threats the United States faces in the region: North Korea, Chinese actions in the South China Sea, terrorist groups in the Philippines, and more. The U.S. military is taking steps to counter those threats in conjunction with the new National Defense Strategy. To understand the best way forward, it is important to understand how we arrived at our current position. War in the American Pacific and East Asia, 1941–1972 was edited by Hal M. Friedman. War in the American Pacific and East Asia, 1941–1972 is a new entry in the AUSA Book Program. The book features nine essays that explore America’s expansion into the Pacific during and after World War II. It shows how the U.S. won the war against Japan, and how it sought to secure that victory and ensure it never faced another Pearl Harbor. Friedman: I have published two trilogies on the United States in the immediate post-WWII Pacific, primarily national security policy between 1945 and 1947. Some years ago, I decided—literally as an academic exercise—to organize a collection of essays. This was a type of publication I had not completed yet, and so I set out to do so. Friedman: I think the best example was the co-operation between then-Gen. MacArthur as commander in chief of the Southwest Pacific Area on the one hand and then-Adm. William Halsey, commander of the Third Fleet, and Adm. Thomas Kinkaid, commander of the Seventh Fleet, in the South Pacific Area. AUSA: Naturally, AUSA members are interest-ed in the land power component of the Pacific War. Which Army actions had the largest effect on the region?